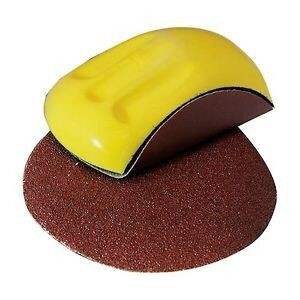 Brand New Sanding Block Ergonomic foam block adapts to curved work surfaces for a smooth finish. For use with 150mm dia hook and loop sanding discs. Includes 3 discs 40, 120 and 240 grit.